Based on interviews with young men and women across Northern Ireland and scripted by multi award-winning writer Damian Gorman. Over six months dozens of young men have talked to Tinderbox’s Outreach team about how they live in 2009. By turns funny, moving and disturbing, their stories featured scrapes with the law, escaping the past, battling addiction, and the unexpected joy of fatherhood. 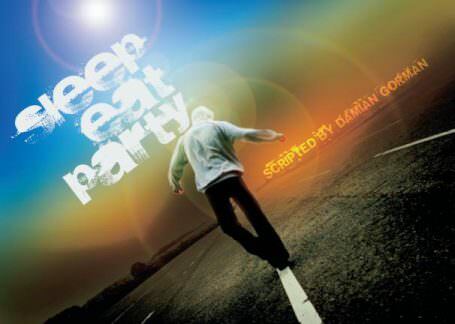 Sleep Eat Party has been created from their words and experiences and includes characters based directly on interview material. This play is inspired by, and made up of, the words of Northern Irish young people in equal measure. It is dedicated to all the young people who took part, and all those who didn’t. 70% of the final production was word for word by the young people interviewed. View the production gallery on Flickr.